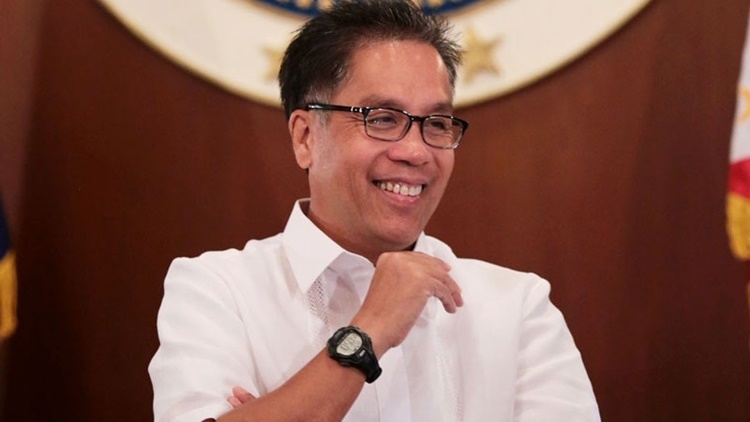 The controversial photos of opposition senatorial bet Mar Roxas of Otso Diretso went through fact-checking by Agence France-Presse. 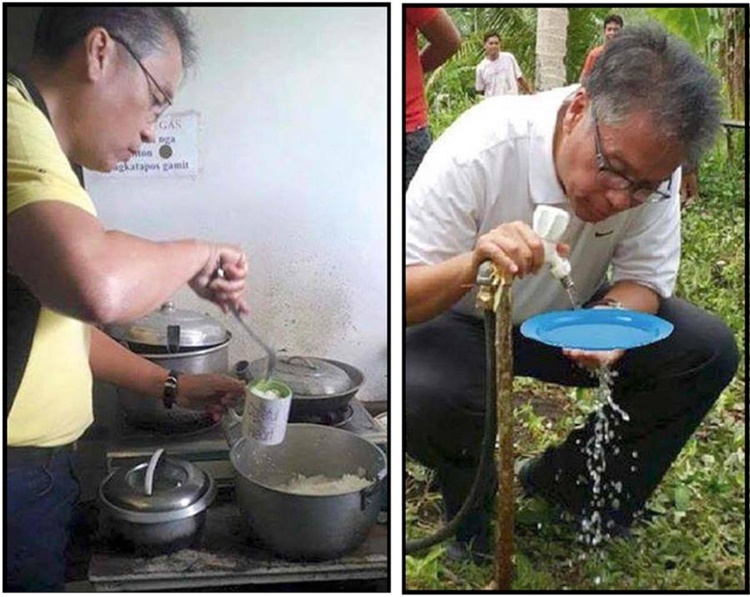 Photos of Roxas circulated online showing that he was drinking water from a faucet using a plate while the other one showed that he ate rice from a cup. 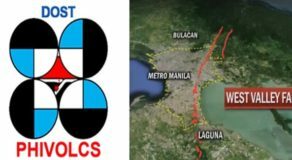 According to a report from Inquirer, the original photo of the politician drinking water was originally posted on the Twitter account of Department of the Interior and Local Government (DILG). 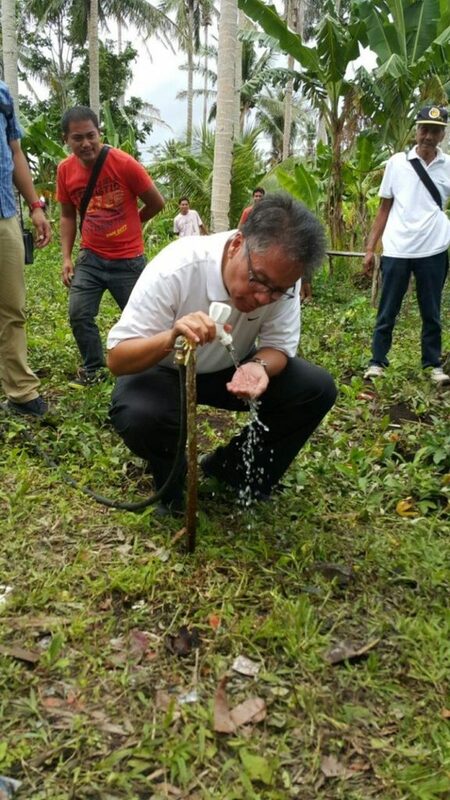 The original photo showed that Roxas was really crouching beside a faucet but he was not holding a plate. 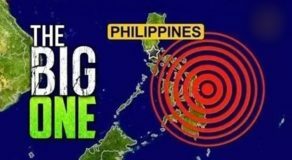 AFP stated that the same photo was posted on the website of the Official Gazette of the Philippine government. “The original photo and the altered photo contain same key details that prove the manipulation. These include two men standing at the back, and a white shoe on the right of the image. Roxas’s right hand on the gold-coloured tap is also in exactly the same position,” the agency added. When it comes to the photo of Mar Roxas eating rice from a cup, AFP said that it can be traced back to the time when he visited the station of Aksyon Radio in Iloilo. 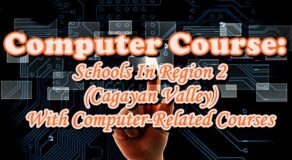 That happened back in November 2015. According to the agency, there was a blog citing the explanation. It was said that the politician was eating “laswa” that time, “a vegetable soup dish that is typically served with rice”. He used a cup because there was no available bowl in the radio station. AFP’s conclusion on Roxas’ controversial photo: “not genuine” and “manipulated”.